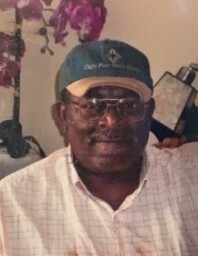 Mr. Ronald Lewis, 59, 303 Peacan St., Apt 1B, Bladenboro, NC, died Monday, April 15, 2019 at his residence. Survivors: wife, Loretta Lewis of the home, mother, Margaret Lewis of Dublin, 1 son, Stanley Bowen Jr., of Lumberton, NC, 1 daughter, Sylvia Gowens of Fayetteville, NC, 2 sisters, Beverly Lewis and Sherwood White both of Dublin, NC, 4 brothers, Fredrick Lewis & Terry Lewis both of Dublin, NC, Gorden Lewis of Kelly, NC, and Tony Lewis of Raleigh, NC, and a host of 4 grandchildren and 1great-grandchild. Funeral: Saturday, April 20, 2019, at 1pm at Willie E. Johnson Memorial Chapel, on the facilities of Johnson’s Funeral Service, 207 S. Pine St., Elizabethtown, NC, eulogy by Rev. Eva Mae McKoy. Viewing: Saturday, April 20, 2019, from 12-1pm, at Johnson’s Funeral Service, Elizabethtown, NC.